In his latest column, Ceasefire's Tom Kavanagh contrasts the increasing poverty levels in Mexico with improving trends in Ecuador. 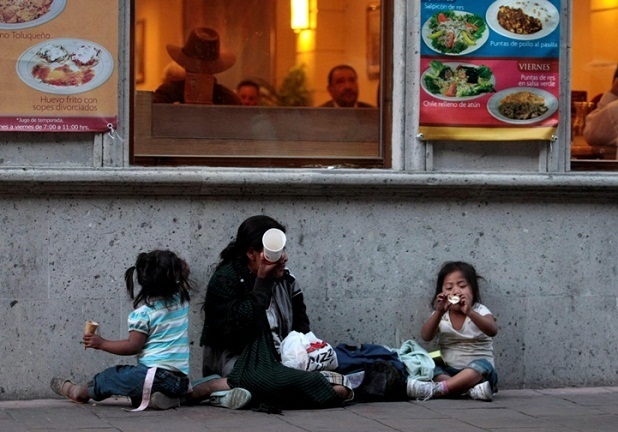 A report issued at the start of August by the National Council of Evaluation of Social and Political Development (CONEVAL) has revealed that 46.2% of Mexico’s 112 million people are living in poverty as of 2010 – up from 44.5% in 2008. The figures show that an additional 3.2 million – giving a total figure of 51.7 million – are now classed as living below the poverty line in a country split by one of the planet’s most unequal wealth distribution indices. Rural poverty increased from 62.4 to 64.9% during the two year period, whilst the level of people living in precarious conditions in urban areas increased from 39.1 to 40.5%. Nutritional scarcity is also on the increase, with insufficient access to food now affecting 24.9% of Mexicans (28 million people) compared with 21.7% in 2008. For the elderly, the statistics are even more alarming – 45.7% of people aged over 65 live in what is described as “moderate to extreme” poverty, while 8 out of 10 suffer from a lack of sufficient access to food and public services. Such figures are cause for concern, but the reality is that they are almost certainly understated. A person earning less than US$118 per month in a city or less than $113 in the country is classed as living in poverty; however rising commodity prices mean that this threshold is increasingly inadequate when it comes to measuring the number of people facing economic hardship. Spiking global commodity prices, price inflation and stagnant wages mean that the struggle to make ends meet grows more arduous with each passing month. Living standards in Mexico continue to slide despite booming exports in a country where many still see immigration to the United States as the only viable route out of misery – even as the U.S.’ manufacturing sector has contracted, with jobs and factories moving in the opposite direction. Mexican exports increased fivefold between the implementation of the North American Free Trade Agreement in 1994 and 2009, totalling $292 billion two years ago, however real incomes continue to plummet. CONEVAL statistics reveal that average household incomes fell by 12.3% between 2008 and 2010, with a similar depressive trend in real wages and living standards noted in the United States. While NAFTA and similar agreements allow business owners to take advantage of tariff elimination by moving manufacturing facilities to regions where labour and land are considerably cheaper, workers are forced to compete with those in poorer areas who can undercut their wages several times over. The adherence of successive Mexican governments to the neoliberal consensus pushed by the Bretton Woods institutions has seen wealth increasingly concentrated in the hands of a few to the detriment of the majority. 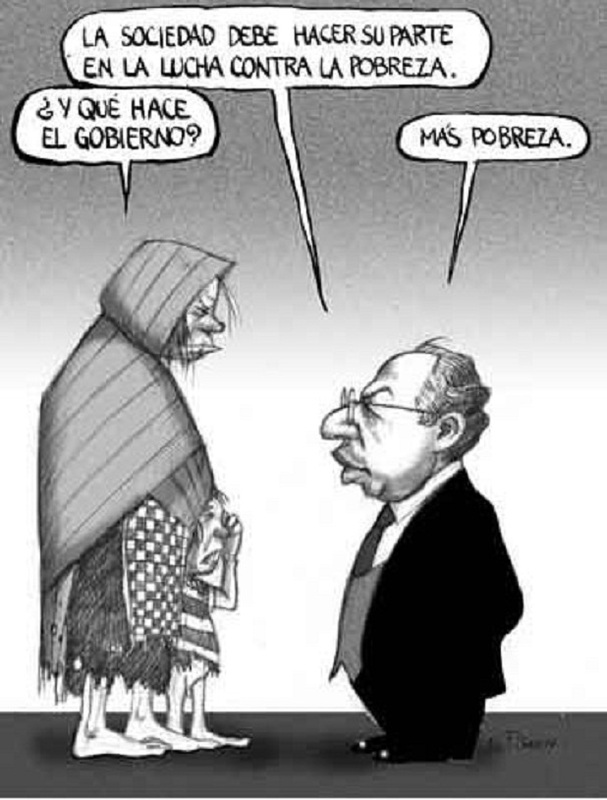 Felipe Calderón’s PAN (National Action Party) took power at the end of 2006 following elections clouded by allegations of illegal corporate financing, voter intimidation and ballot stuffing. Over 900,000 people protested against his inauguration as evidence of voting irregularities abounded, and poverty statistics have consistently deteriorated in the five years since Calderón took power. Mexico City boasts a glut of million and billionaires in the mould of Carlos Slim, proclaimed the world’s richest man by Forbes with an estimated (and doubtless understated) personal fortune of US$74 billion. Slim’s Telmex firm owns 90% of all operational telephone lines in one of the world’s largest cities, where abject poverty and disenfranchisement are the status quo for the bulk of the population. In the nation’s capital, 1.3 million people have no access to running water and a further 1.4 million receive a sporadic, unreliable service according to a study by the National Autonomous University of Mexico (UNAM). Ecuador, meanwhile, has moved in the other direction since the inauguration of president Rafael Correa in January of 2007: state spending has increased year on year and unemployment and inequality statistics are on the decline in a country where numerous progressive leaders had been violently overthrown or assassinated during preceding decades. Correa came perilously close to befalling the same fate in September of last year, when elements of the police and military staged an ultimately abortive coup d’état. The Ecuadorian government’s National Council for Planning (SENPLADES) this week released figures showing that the number of people living in poverty in the Andean nation has fallen from 22.91% of the population in 2010 to 19.27% as of July 2011. Unemployment has also fallen five points to 6.2%, with analysts opining that increased government investment in the public sector has brought about these improvements. State investment in the economy rose from US$1.05 billion in the first half of 2009 to $2.04 billion in the same period for 2010, while the first six months of 2011 have seen $3.354 billion invested in state projects and public services. As many governments in Europe and elsewhere are imposing tough “austerity” measures on their populations under the pretext of balancing budgets, the Ecuadorian government under Rafael Correa has stood by its policy of stimulating growth with increased state spending. Ecuador is currently the country with the highest level of investment in public works projects and services in Latin America, followed by Bolivia, Cuba, Panama, Peru and Venezuela. Current spending levels have been made possible by rising oil prices and Chinese loans, with analysts acknowledging that diversification is necessary in order to create more permanent jobs. For example, the construction of new roads brings a temporary boost to employment which dries up as soon as the work has been done. National planning secretary René Ramírez said of the figures that raising the level of government spending was contributing to the reduction in the gap between rich and poor in the country as well as increasing its productive capacity. Government initiatives have made a point of investing money in long overdue social projects in Ecuador’s Amazon communities, acknowledging a legacy of government exploitation and neglect that has seen oil extracted and the environment polluted beyond repair without any corresponding benefit for the region’s inhabitants. By law a minimum of 12% of oil revenues must be invested in the Amazon region – the country’s poorest – and in June the government announced US$351 million of spending designed to stimulate related social projects. “Ecuador owes a social debt to the communities in the Amazon”, affirmed Carlos Viteri, secretary of the Amazon Regional Environmental Development Institute (Ecorae). Viteri said that despite the fact that the Amazon contains Ecuador’s largest petroleum reserves, its people have suffered disproportionately from pollution directly linked to oil and mineral extraction and have never been justly compensated for the damage to their ancestral territories. Tom Kavanagh, a writer and activist, is Latin America correspondent for Ceasefire. His column on Latin American affairs appears bimonthly.